December 5, 2012 - The International Air Transport Association (IATA) released an industry traffic forecast showing that airlines expect to welcome some 3.6 billion passengers in 2016. 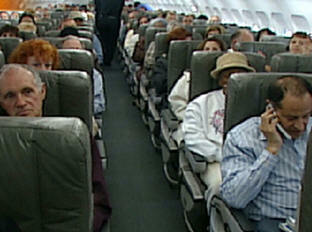 That’s about 800 million more than the 2.8 billion passengers carried by airlines in 2011. These figures are revealed in the IATA Airline Industry Forecast 2012-2016. This industry consensus outlook for system-wide passenger growth sees passenger numbers expanding by an average of 5.3% per annum between 2012 and 2016. The 28.5% increase in passenger numbers over the forecast period will see almost 500 million new passengers traveling on domestic routes and 331 million new passengers on international services. International freight volumes will grow at 3% per annum to total 34.5 million tons in 2016. That is 4.8 million more tons of air cargo than the 29.6 million tons carried in 2011. The five fastest growing international freight markets over the 2011-2016 period will be Sir Lanka (8.7% CAGR), Vietnam (7.4%), Brazil (6.3%), India (6.0%) and Egypt (5.9%). Five of the 10 fastest growing countries are in the Middle East North Africa (MENA) region, reflecting MENA’s growing importance in international air freight. By 2016, the largest international freight markets will be the United States (7.7 million tons), Germany (4.2 million tons), China (3.5 million tons), Hong Kong (3.2 million tons), Japan (2.9 million tons), the United Arab Emirates (2.5 million tonnes), the Republic of Korea (1.9 million tons), the United Kingdom (1.8 million tonnes), India (1.6 million tons) and the Netherlands (1.6 million tons).